Can seem expensive but 15kg goes a long way at 25mm deep and saves you from the usual 'pressure wash and re sand cycle'. 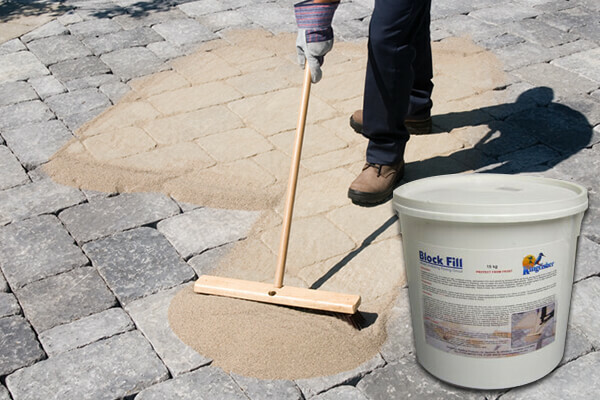 Can leave a slight cement like film on the paving if you don't get the sprinkling of water just right but if you follow the instructions it turns into a grout and runs into the joints, just don't over water so it runs off the paving. A tip, on first opening the tub make the effort to mix the materials if you can see they have separated. All in all well worth it.